My name is Nava Levy. I’m an expert on cloud and other technologies and am also a volunteer tutor for disadvantaged kids and a mother of three. When I left my job as VP Cloud Computing in a global, high tech company 15 months ago, I couldn’t have anticipated the amazing journey I was about to embark on and the amazing people I would meet on the way – the journey of establishing a nonprofit education venture, LerGO – Educate Yourself. It all started when I saw how my own kids enjoy learning from friendly animated online tutorials, such as BrainPOP and ClickNKids. In these tutorials, a cute animated character taught them many lessons across several schools subjects. ClickNKids also sent a status report at the end of each lesson to parents and teachers, so that we could understand exactly what they did and where they were still having trouble. While I was giving a private lesson to one of my students, I could not help thinking of all the other students from disadvantaged backgrounds who didn’t have a volunteer tutor to help them; that their parents couldn’t afford to pay for private lessons, or to purchase a subscription for such online tutorials, like BrainPOP or ClickNKids. I thought: What if these type of tutorials were available for free and without ads, in any language, and for any subject? Every child can use them to self-learn all school subjects, enjoyably and at their own pace, regardless of their socioeconomic background or the language they speak. Could this be something real or is it just a dream? 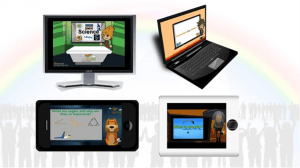 I founded LerGO because I believe that with today’s cloud technology, the simple yet powerful animation software, such as GoAnimate for Schools, can enable anyone to create animated videos. Together with the goodwill of the community, we can in fact turn this into a reality. This is what LerGO is all about: a new non-profit venture dedicated to self-education. 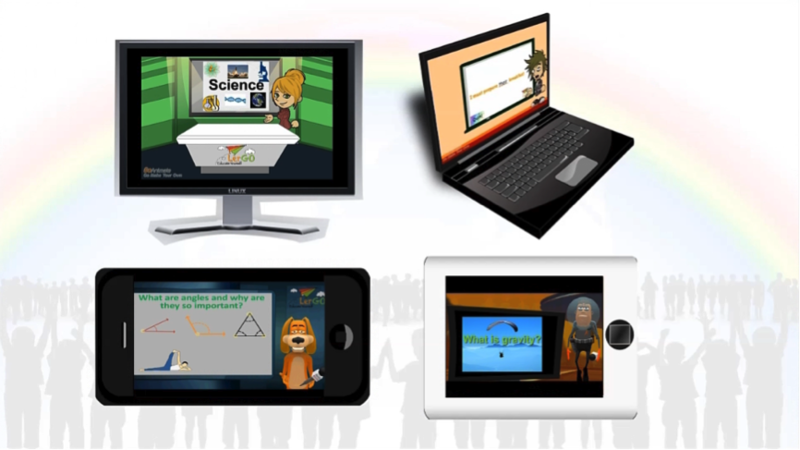 With LerGO, anyone can create animated and interactive online lessons. A cute animated character will guide the students through the lesson, step-by-step. To illustrate this, here are a few lesson examples, which we created with GoAnimate: a lesson in Science and a lesson in English/Grammar. We also created lesson examples in other languages – Hebrew, Arabic and Russian. Once LerGO’s platform is ready, we will add interactivity to the lesson’s quiz and send status reports to teachers and parents after each lesson, among other great features. We have now reached a critical step in the journey. To help fund the development of LerGO’s platform, we have just launched an Indiegogo campaign. LerGO isn’t just about offering high quality online lessons, or providing an alternative to private lessons. LerGO is about giving the community tools to take education to the next level; it’s about reducing the social gap and helping to make the world a better place. LerGO is about helping our kids’ dreams come true and we need your help to support it. Here is the 3 minute video of our campaign, the awesome perks we created for you and for other ways you can help. Together we can make it happen!